It went viral. Anyone I know tried it, the world phenomenon Pokemon Go, that brought to the front of the stage augmented reality and the experiences we can create with it. 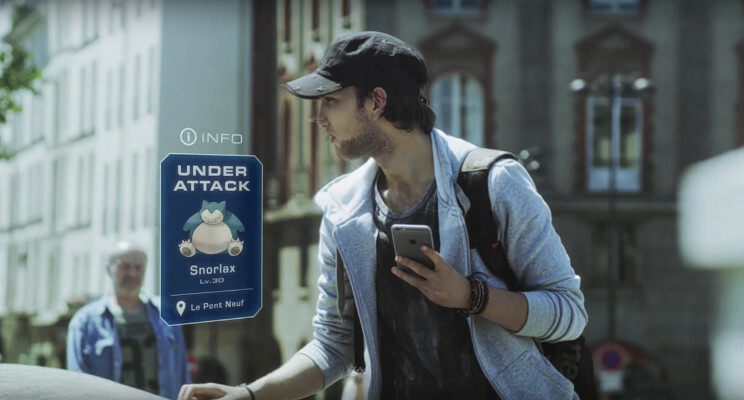 However, little do people know that Pokemon Go isn't really using the full power of augmented reality. To the last update that I know of, the Niantic app just displays 3D pokemons on top of whatever your camera records, without really analyzing the space around you. If Pokemon Go was really augmenting your reality, I doubt your Drowzee would dance in the middle of the street. Augmented reality involves more computer vision: recognition of images, objects, spatial mapping, etc. It definitely has to know that a bus is coming, otherwise it doesn't feel real, and you can't call it augmented reality anymore. During my internship at R/GA, I had the chance to study and test some of the AR technologies out there. Your choice, when it comes to what kind of technology you should use, will ultimately depends on what you want to create. Aurasma and Blippar are two tools that can help you do that. However, they can only display widgets for media contents (e.g. pictures) or links for a very "on paper" experience (widgets are overlaid on top of tracked image). Zappar would be your tool. Again, oriented towards "on paper" experiences, Zappar does what Aurasma and Blippar do. They work with tokens that they can recognize, e.g. image recognition with the look of fancy barcodes. Zappar, on the other hand, looked more powerful to me, because it has more features: you can display your own 3D models, that you can also animate - to a certain extent. For example, you could have a dancing bunny if you wanted to. You can easily customize the experience - via their own studio. For more powerful and complex solutions, 3 technologies are equivalent competitors: Vuforia, Wikitude and AR Media. Powerful, because they've proven to display stable AR experiences; complex, because they allow you to import your own 3D objects and animations - and they're way better at it than Zappar. I only had time to scratch the surface of AR Media, and as for the two others, I would recommend using Vuforia with Unity for standalone apps and Wikitude if you're thinking of embedding the AR experience within an existing app. And each one of them is actually working on object recognition, a cool feature that could allow triggering of AR experiences not based on images or patterns, but based on actual, concrete objects. Their technology in this domain, however, is still in beta. That's obviously something interesting to follow, because you don't know what they might be able to do in the future. For more tools competing on the AR market, I suggest this comparative table, and more than anything, be sure to try them out!